Buy, Rent or Skip Down and Dirty Pictures: Miramax, Sundance, and the Rise of Independent Film (2004)? 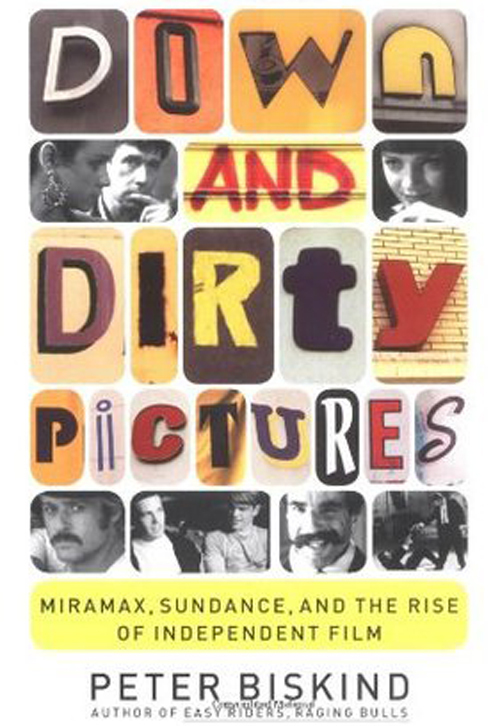 Reading Down and Dirty Pictures: Miramax, Sundance, and the Rise of Independent Film was a chore to get through at times. It's very rare that I ever have to renew a book because I need more time to get through the pages and this had nothing to do with the book being nearly 500 pages long, but everything to do with it's structure. I originally dove into this book thinking that it would be all about Harvey Weinstein and Miramax. It is and it isn't. It's really about the landscape of Independent film making and how Sundance came to be and how Miramax, or more to the point, how Harvey pretty much hijacked the institution to make a name and a company for himself at the expense of pretty much everyone in his path, especially the Independent film makers that he touted as being "family". Whether you have read about Harvey, seen interviews or just heard tales of the man secondhand, you already know what a colossal douche nozzle the guy is. But you really only know half the story. He's a prick as well. He is the personality that I would never associate with and I would never tolerate the sh*t that he throws at his employees and everyone else that just happens to be caught in his wake. These particular accounts as presented in the book are fascinating to read, but the book as a whole does leave a lot to be desired. The author tries to make it a Robert Redford Vs. Harvey Weinstein showdown. The problem is, anything regarding Redford disappears for long stretches at a time that it never really takes flight and seems inconsequential in the broader picture. Also, there are so many other stories being told with other players that you have never heard of that it takes away from the guts (pun intended) of Harvey's story. If it's not Harvey's story that is being told, you will of course enjoy the ones involving Quentin Tarantino, Kevin Smith, Matt Damon and Ben Affleck recounting their war stories of having to deal with Harvey Scissorhands and what they had to go though to get their movies (Pulp Fiction, Jackie Brown, Clerks, Mallrats, Goodwill Hunting) released. Fun stuff. Even though it's a sluggish read at times, I still think this is a book worth checking out just for their perspectives on the man and the myth.